Fig. 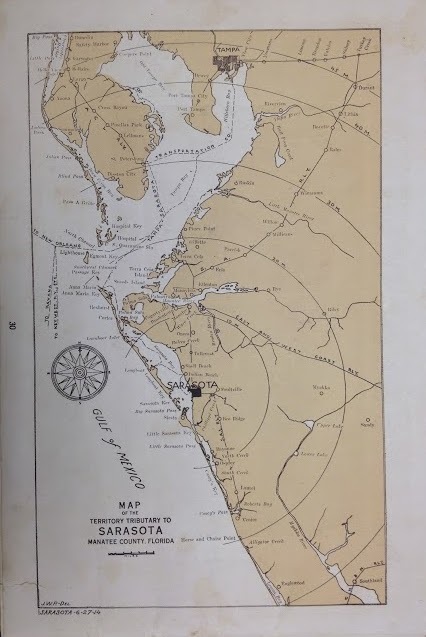 1 1914 Map of Sarasota, Florida and the Sarasota Bay District of Manatee County. Fig. 2 Orange and grapefruit groves in Sarasota. Fig. 3 A Sarasota celery field. Some articles emphasized the benefit of development to farmers. On January 25, 1917, the newspaper published an article from W. A. McRae, Florida’s Secretary of Agriculture. Secretary McRae stated the need for roads for tourists, but also to “enable the farmers and their families to get easily and cheaply to town, to market, to school, to church, to houses of neighbors and friendly visits.”7 On June 22, 1916, the paper quoted Secretary McRae again, assuring that Sarasota’s crops provided a draw to permanent residents increasingly relocating to the city (see Fig. 4). For the time being, development and the rural way of life existed harmoniously. Fig. 5 Sarasota-Times, December 7, 1916. Fig. 4 Sarasota-Times, June 22, 1916. Fig. 1. Sarasota Board of Trade, “Sarasota, Florida and the Sarasota Bay District of Manatee County,” brochure, 1914–1915, courtesy of Sarasota County Historical Resources, Sarasota, Florida. Fig. 4. “Florida’s Advantages Are Told By Commissioner McRae In The Commissioner’s Record,” Sarasota-Times, June 22, 1916, courtesy of Sarasota County Historical Resources, Sarasota, Florida. Fig. 5. 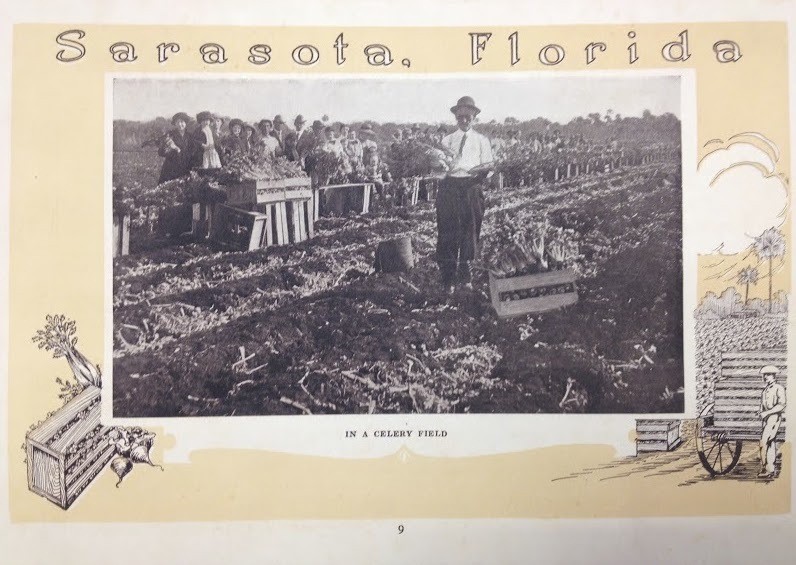 “The Crops Are Looking Fine In This Section Of Manatee With Prospects For Bumper Crop,” Sarasota-Times, December 7, 1916, courtesy of Sarasota County Historical Resources, Sarasota, Florida. 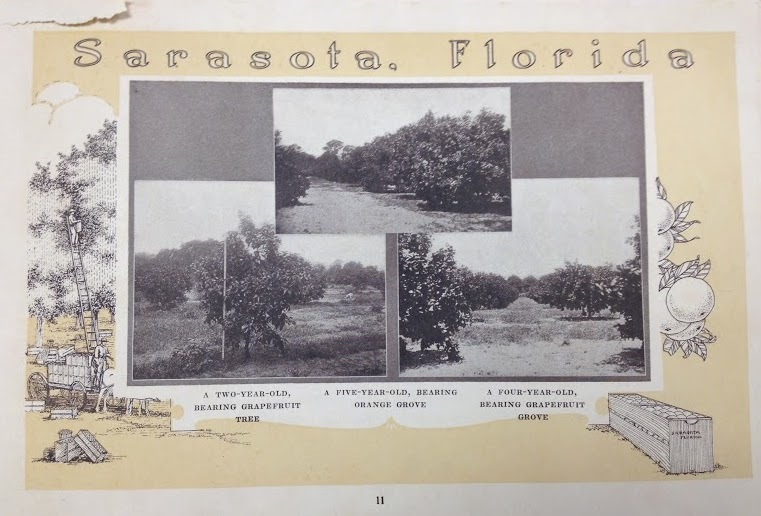 Sarasota-Venice Company, “Fruit and Vegetable Lands in the Sarasota Bay District,” brochure, 1915, courtesy of Sarasota County Historical Resources, Sarasota, Florida, 17. “Strawberry Farm Busy,” Sarasota-Times, August 3, 1916. “The Opening Market Day Will Be Saturday, At 8:00 A.M.–Every Woman Invited,” Sarasota-Times, December 16, 1916.